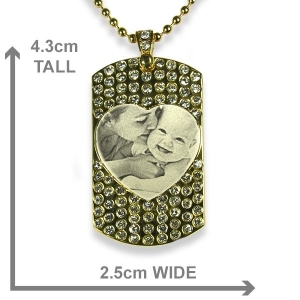 This pendant has a heart shaped area to engrave the portrait photo of one or two persons. 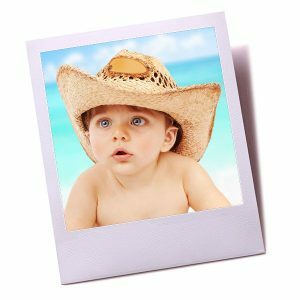 Please read our tips when ordering engraving photos of animals. 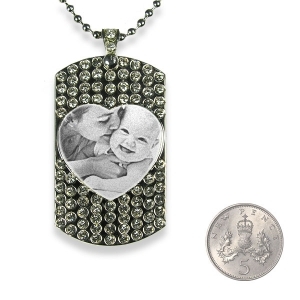 This is a rhodium plate portrait pendant which has a face of diamante stones with a heart shaped inset plate with your etched photo. 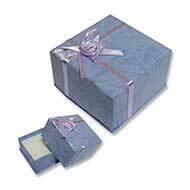 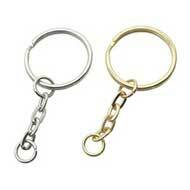 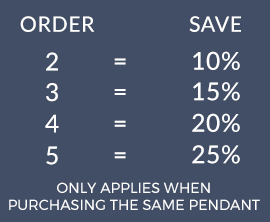 These pendants are hypo allergenic jewellery and safe for people with nickel sensitive skin. 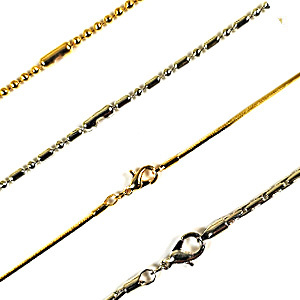 Available in rhodium plate or 18K gold plate. 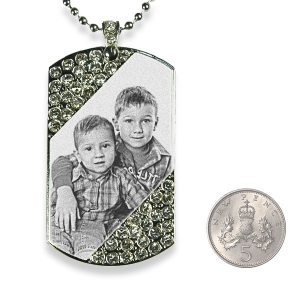 Tell someone you love them by giving them a portrait photo pendant inset with diamante stones and an engraved dedication of betrothal. 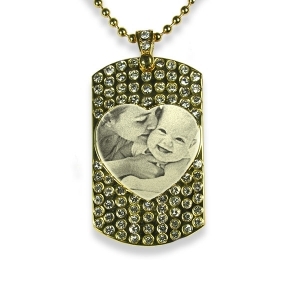 One of a range of romantic themed photo pendants which will make a treasured keepsake. 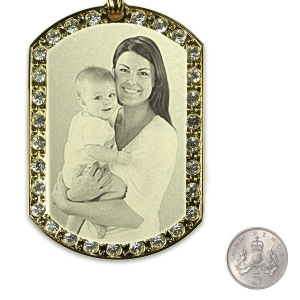 Engraved photo pendants are created by an etching technique using a diamond tipped punch. 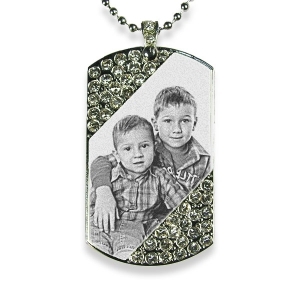 The photo becomes visible when light bounces off the etched surface showing the contrast between light and dark areas of a photo. 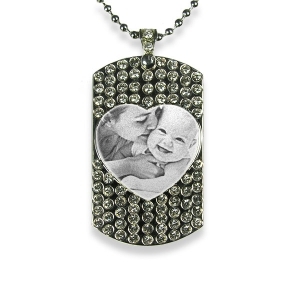 When the light falls on the photo pendant it gives your photo a magical glint. 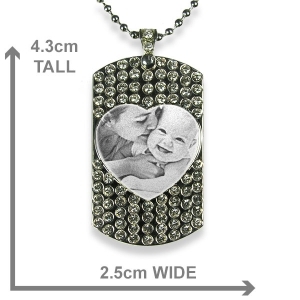 Upload your photo to see if it suits this photo pendant before deciding whether to order.